In September of every year, tens of thousands of smartly dapper gentlemen from over 500 cities gather for the Distinguished Gentleman’s Ride to raise awareness on prostate cancer and contribute to funding the cure for the disease. These fancy riders brave the road on their café racers, bobbers, scramblers and other custom and classic motorcycles with “Riding dapper for a cause.” on their minds. 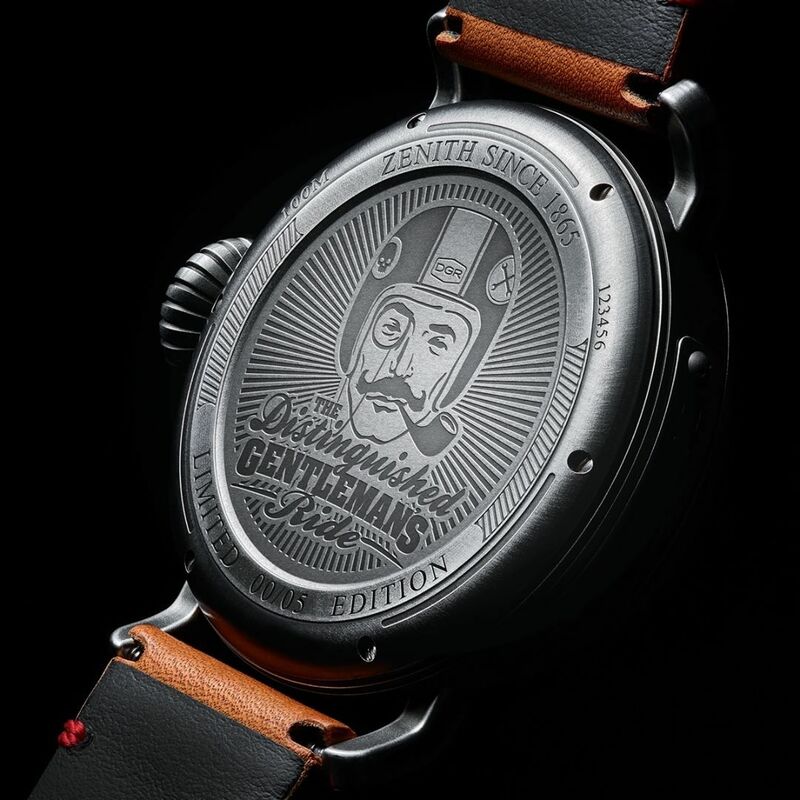 As a sponsor of the DGR, Zenith Watches has launched a new special edition timepiece, the DGR Pilot Ton-up, to celebrate timeless design and eternal mechanic for a cause. 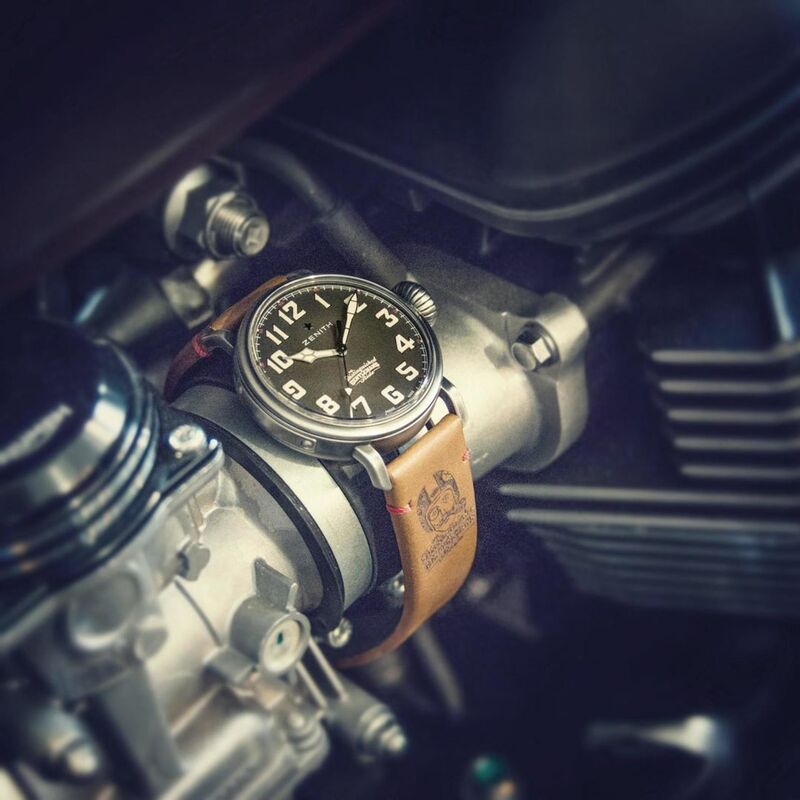 The DGR Pilot Ton-up with its 45mm aged-steel case houses a legendary movement and a cool, vintage dial. Built as an ode to the performance of custom motorcycles and those that race them, the limited 5 pieces evoke strong character, originality, free-spirit and style. Because after all, that’s what a distinguished gentleman is all about. And so is the Distinguished Gentleman’s Ride! So, join the movement, defeat negative stereotypes of men on motorcycles, and help raise funds and awareness for prostate cancer and men’s mental health. Not that one would need an additional incentive -this noble cause is enough on its own- but the top five performing fundraisers around the world will also be awarded this special edition watch!